Offer professional courses to train talented, professional employees and improve employee competitiveness. 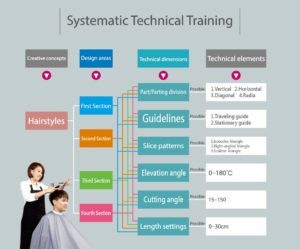 Beginner, intermediate, and advanced professional training courses are provided to boost hairstylists’ confidence and show their abilities in the workplace. 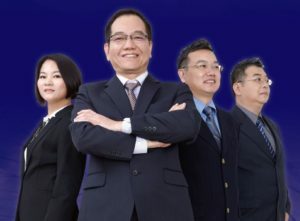 Supervisors courses are held to strengthen employees’ personal leadership skills and wisdom and management skills as well as provide real-life practice. These internal and external comprehensive training courses are employed to elevate team cohesive ness and enable employees to demonstrate their leadership abilities. To promote industrial development, aim to transact cooperation classes, “511 Industry Academic Class” with research institute of higher learning. 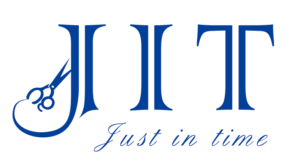 Offer more work opportunities and industrial technology communication, train talent jointly. Classic hairstyles are the original of design elements, and after refining, development, and simplification, these hairstyles can become part of the E-generation hairdressing fashion. 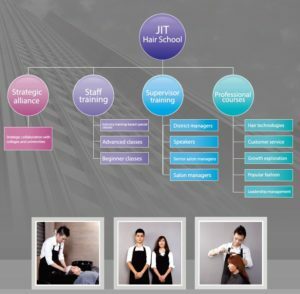 By combining digital and cloud information technologies, the education of hairdressing techniques is no longer subjected to physical and time limitations. 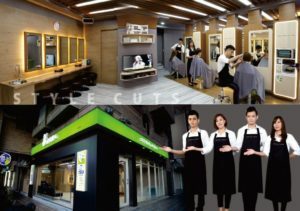 Hairstylists will be able to view hairdressing-related instructional videos by scanning QR codes, thus revolutionising traditional education. All creative hairstyles original from dividing the head into design areas, finding the design elements that meet the needs of each area, and combining the elements into an overall design. These are systematised hairdressing techniques. Hairstyle creativity is a series of extensions and changes to hairstyles; incorporating creativity into hairdressing allows stylists to meet the needs of different faces and hair characteristics as well as quickly understand and adapt to the diverse changes in hairdressing fashion.